Orange is a color that makes you think of sunny, tropical landscapes and beautiful sunsets. It gives off a wonderful warm glow and a comforting feel. With an orange necklace you can harness that comforting glow and keep it with you wherever you choose to take it. Adding an orange necklace to your wardrobe will brighten up your world and keep you looking cool and sleek! You can have a vibrant statement piece or a delicate, elegant jewel, and there are so many options and styles that you’re bound to find the right one for you. To help you on your way to a brighter wardrobe, here are just 10 fabulous orange necklaces you need in your life! So, you’re in need of a little touch of color for your outfit. Well, how about this bright and colorful orange necklace from Jess Jewel. This will definitely keep you looking sharp and radiant wherever you go. This beautiful orange necklace is styled with plastic orange beads in different hues, shapes and sizes. This casual layered effect gives the necklace an effortless look, so you can make your bold color statement in style. This handmade necklace is on a gold tone metal chain that measures 18 inches in length but comes with an extender chain tail, so you can alter the length to suit your style, up to 21 inches. Now, with this necklace you don’t need to worry about finding earrings to match, as it comes complete with the matching earrings! Obviously, you could just wear a simple pair of gold earrings if that’s more your style, but it’s always good to keep your options open and rock a fabulous orange look with all your accessories. The necklace would look super stylish with a simple solid color, and would add a particularly vibrant touch to black or white outfits. 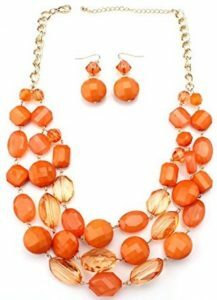 For anyone who loves striking designs and bold colors, this orange necklace is sure to be a hit! Its unusual design gives it character and a unique style that artistic people will just love. 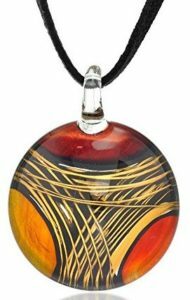 This gorgeous orange necklace features a hand blown glass pendant, which has been created with chic Venetian Murano glass. The round disc shaped pendant measures just under 2 inches in length and just over an inch and a half in width, so it’s a pretty large pendant that will definitely catch your eye. The beautiful pendant is also hand painted to give it its creative gold tone pattern. This would be a colorful addition to anyone’s accessory collection, and it would certainly brighten up a casual wardrobe. The black leather chain gives the necklace a laid back look, that would be ideal for everyday wear. The leather measures 18 inches in length but it also has the benefit of a 2 inch extender chain, so you can customize the look. This necklace would be a superb gift and even comes in a cute little velvet pouch. 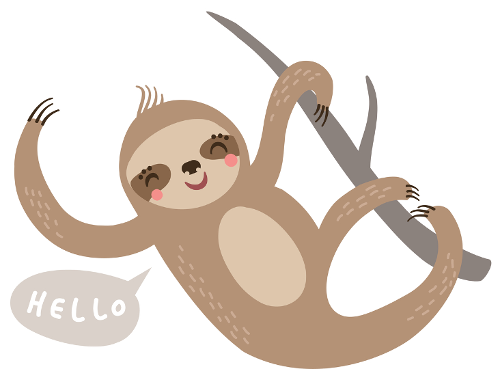 Now, who wouldn’t want this cute little sea turtle hanging around their neck! This is a brilliant orange necklace for adding just that little bit of color to your outfit, as well as giving you a touch of glitz and cutesy fun! This pretty necklace has a sterling silver pendant, carved in the shape of a darling little sea turtle, with a bright orange cubic zirconia crystal at the center. 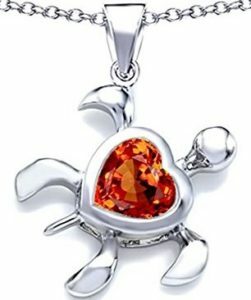 The body of the sea turtle and the orange crystal are both heart shaped, giving the necklace an even cuter look! The little turtle measures about an inch long and wide, so it’ll quite prominently on your neck. The chain is also sterling silver and measures 18 inches in length, which suits the size of the pendant and makes it easy to wear. This orange necklace would make a fabulous gift for anyone who loves turtles and needs a little extra color in their life. It would also be a sparkling way to show off your love for animals when you go about your day! It even comes in a little protective gift pouch. If you’re looking for something with a little bit of bling and a lot of glam, then this orange necklace from Star K could just fit the bill. With sparkle and shine, this necklace has glitz and glamor. Featuring a pendant with a round orange cubic zirconia crystal, this stunning necklace is designed to look like a brilliant Mexican fire opal; and with its cut and radiance, it sure does! The vibrant orange crystal is set in sterling silver, with a sterling silver bail that is encrusted with clear cubic zirconia crystals, making it shine even brighter! The chain is also sterling silver and measures 18 inches in length, so you’ll be able to wear the necklace with loads of different styles of tops and dresses. This necklace is a fabulous and affordable alternative to a genuine fire opal. Because of its design, you could wear it for both casual and formal occasions, so you’ll be able to add color and sparkle wherever you go. It would even make a fantastic gift and comes ready to give in a cute little jewelry pouch. If you love gemstones, you’re going to love this orange necklace! It’s bright, it’s vibrant and it will look super stylish when it’s on your neck. This bright orange necklace features a genuine amber gemstone pendant, which is set in sterling silver, giving it extra durability and radiance. The pendant has almost a teardrop shape, which gives it a natural look and enhances its style. The fine chain is sterling silver and measures 18 inches in length, with a spring ring clasp. The delicate chain looks fabulous with the lightweight Baltic amber gemstone, giving it a chic look that you can wear almost anywhere. This is a fantastic little necklace for adding a little bit of color to your wardrobe. 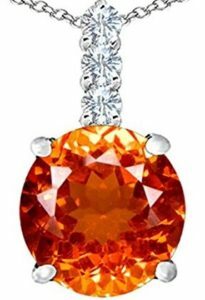 You’re not only getting a gorgeous shade of orange in your necklace but you’re getting a genuine gemstone, with natural qualities that reflect the light and create a unique piece of jewelry. It would be a wonderful gift for anyone who loves unusual pieces that have a timeless feel. It also comes in a little gift box to keep it safe. Maybe it’s magic, maybe it’s not. But it sure is cute! Everyone is going to want one of these necklaces once they’ve seen what it can do! 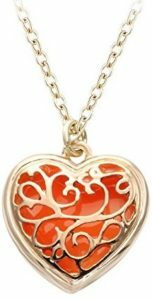 This pretty orange necklace features a gold tone heart shaped pendant with an open cut design on the front and a closed back. Within the heart, and behind the gold tone design, is a bright orange enamel piece, that, wait for it; glows in the dark! How cool will you look when your necklace is shining through the darkness at parties, movie theaters, everywhere! Everyone will be commenting on this fabulous piece of jewelry. The chain is a gold tone metal alloy, to match the pendant, and measures 18 inches in length. The length of chain goes well with the size of the pendant, which measures just under an inch in both length and width. This will be a great gift for anyone who loves fun jewelry that looks stylish by day and funky by night. You can even choose from a range of colors, so each of your friends can have their own favorite color! The necklace also comes in a sturdy gift box, so you can keep it safe when you’re not wearing it. If you want to show off your animal loving personality with a splash of orange color, then this beautiful necklace is just the thing! 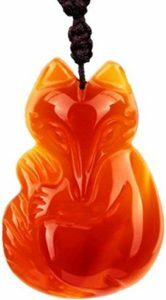 This fun and colorful necklace has a gorgeous little fox pendant, carved out of genuine red agate. The detailed little pendant is hand crafted and polished, to give each one a trendy, unique look. The chain is made from cotton and can be easily adjusted to be between 16 and 18 inches, giving you more choice over how you wear it. The chain ties, instead of having a clasp, which may make it easier to put on and take off. The agate on the pendant is traditionally seen to have healing powers and is said to bring good luck, courage and strength. It’s known to be a favorite among those who want to keep stress away and feel closer to nature, so it could have more benefits for you than simply adding a little stylish color to your world. It would be ideal for keeping away any demons you don’t want hanging around! Let the festivities begin, with this fabulous orange pumpkin necklace from Cocojewelry. This is the ideal accessory for Halloween, fall, Thanksgiving, or any time of year you choose! 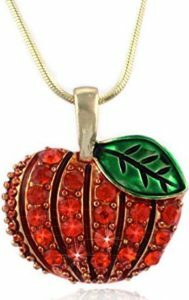 This orange necklace features a little pumpkin pendant encrusted with sparkling orange rhinestone crystals and a painted green leaf. The detailed pumpkin is around an inch wide, and roughly the size of a quarter, and is set on a gold tone metal background. The gold tone metal snake chain is well coordinated with the colors on the pumpkin and measures 18 inches in length, making it great for wearing everyday. With this fun necklace you can add seasonal cheer to your day and get into the holiday spirit. It’s dainty enough that you can subtly wear it to school or work, so you can keep your fun personality on display wherever you go! If you’re searching for a dainty way to add a little color in your life without being too bold, then this darling little necklace could be exactly what you’re looking for. This orange necklace is stylish, delicate and feminine and reflects a modern design that will keep you looking on trend at all times. 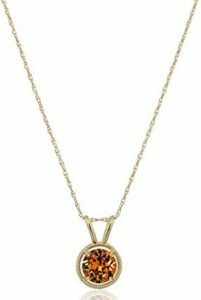 This beautiful necklace has a gorgeous pendant with a gold rope effect circle and a sparkling orange Swarovski crystal suspended in the center. The orange crystal is designed to look like topaz, the birthstone for November. The delicate little pendant hangs from a gold filled silver rope chain, which measures a fashionable 18 inches and has a spring ring clasp closure. This pretty orange necklace would suit anyone, regardless of when your birthday falls. It has just the right amount of sparkle and glamor to wear to formal events but will also add a feminine elegance to your everyday wardrobe. The gold hues highlight the orange Swarovski crystal and make it easy to pair with other outfits and jewelry. It’s the ideal accessory for your everyday life and has the bonus of a brilliantly sparkling November birthstone! So, you’d like something a little more extravagant in design, while still keeping it trendy and chic. Well, this orange necklace meets all the criteria. This dazzling necklace has a large pendant, plated in rose gold, with floral detailing and small clear and orange crystals as accents. Within the pendant is a large peachy orange crystal, that will sparkle and shine and add glitz to any outfit. The pendant is large, at almost 3 inches in length and about an inch and a half wide, so it will definitely stand out! The chain is a rose gold plated wheat chain, that measures just over 31 inches in length, allowing you to wear it as a statement charm piece. The good thing is, you’ll be able to put it straight over your head without undoing the lobster clasp! This orange necklace would be an ideal accessory for dressing up your casual wardrobe and heading out to lunch with the girls. It’ll go with either dresses or tops and will look super sleek when teamed with your other rose gold tone jewelry to build a trendy layered effect.